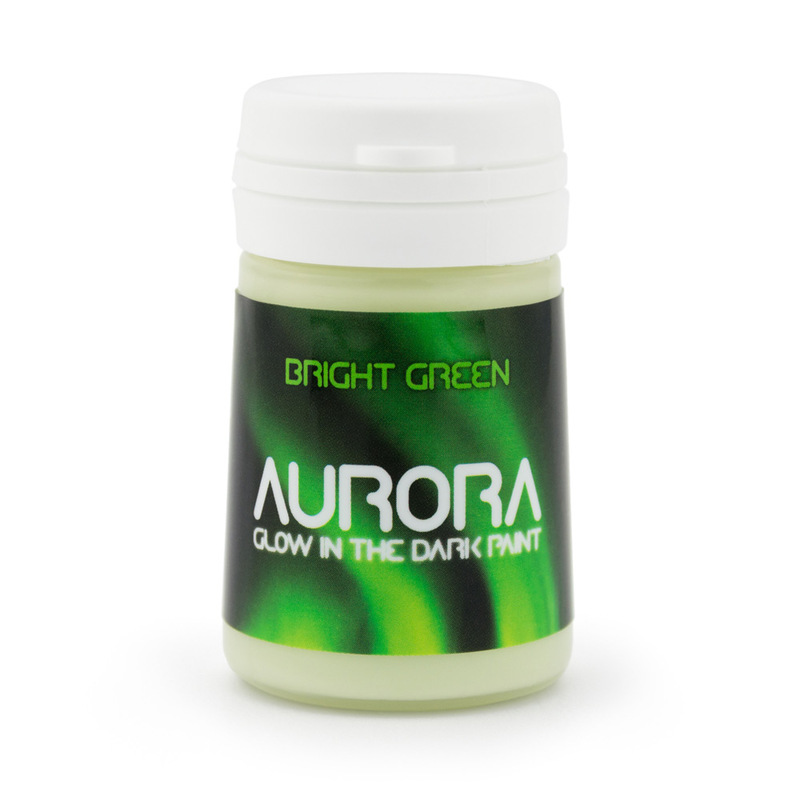 Bright green glow in the dark paint. Aurora glow in the dark paint by SpaceBeams uses top grade europium-doped aluminate oxide pigments in durable & ultra-adhesive acrylic solution. 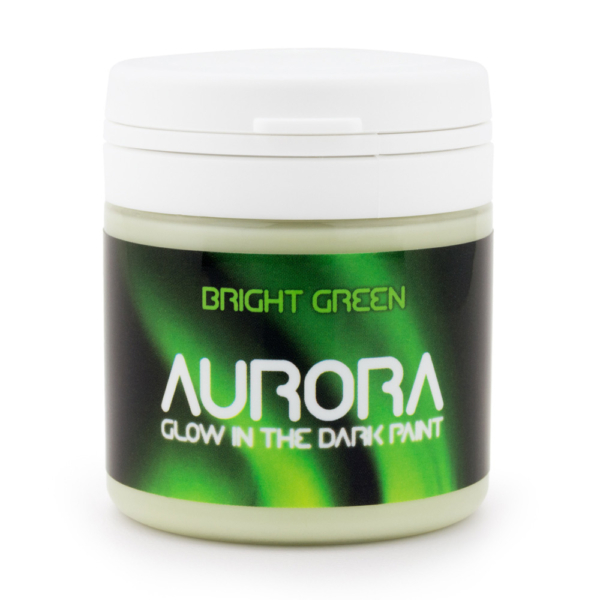 This paint can’t be beaten on both strength and duration of its glows. One strong charge can create glows that last until the morning! 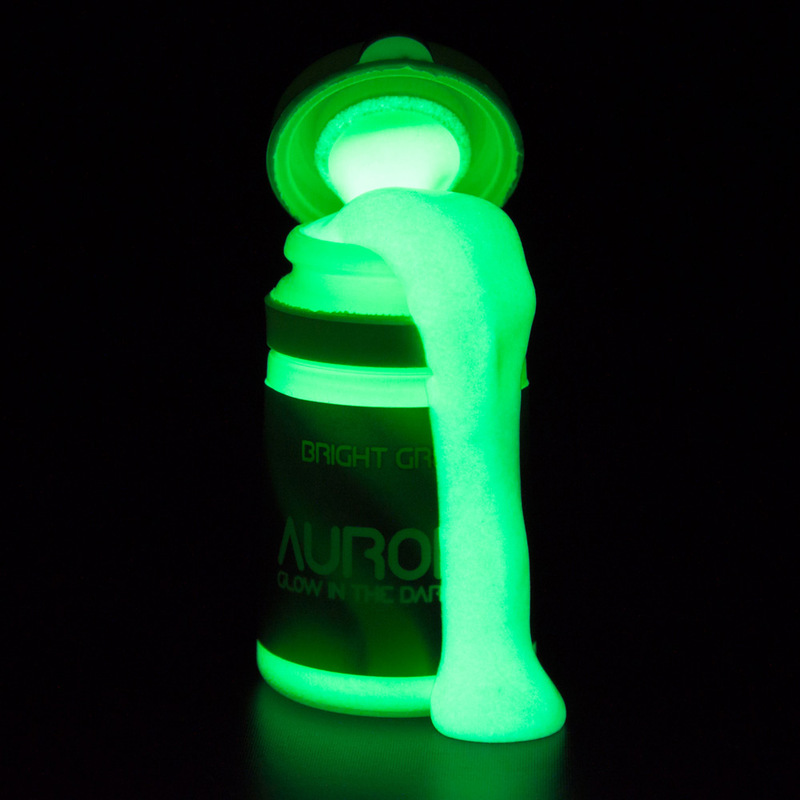 Even when viewed very closely our glows are as smooth as can be, zero graininess! 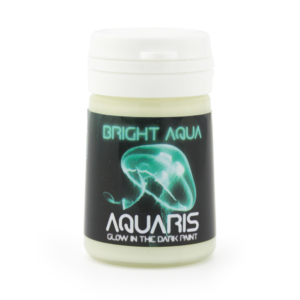 For best results, common to all glow in the dark paints, apply thickly, preferably on lighter backgrounds, and charge for a few seconds with a strong light source (UV flashlight, sun, lamp). 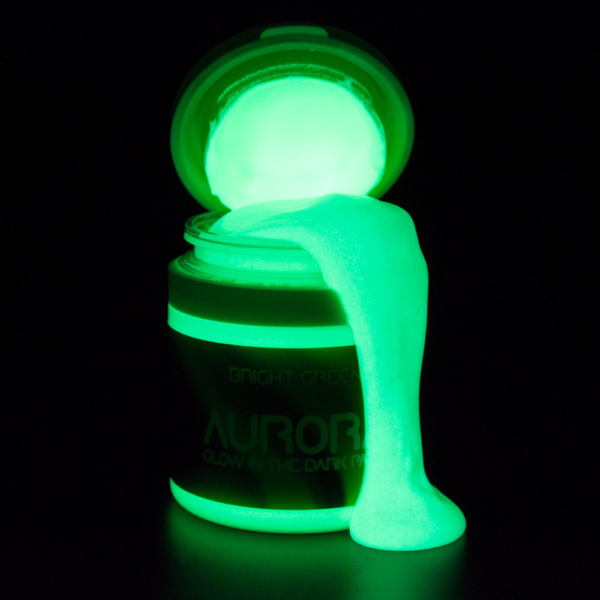 This paint is non-toxic, and glows brightly whether wet or dry. For use outdoors, dry, then varnish over. This will protect it from moisture degradation. Once dried, lasts longest on hard, rigid surfaces. Not recommended for skin and hair. 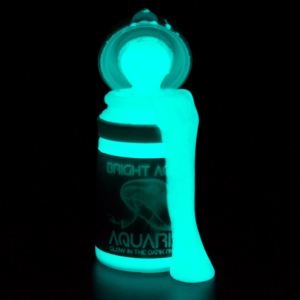 Included with every Aurora bottle: Lifetime access to the exclusive SpaceBeams VIP Stencils Membership! Create professional looking wall art without the fuss. Get exclusive stencil designs found nowhere else and tutorial videos on how to get the best effect. Your wall art will never look the same again! Included: Lifetime Access To The Exclusive VIP Stencils Membership – Easily Create Professional Looking Wall Art! This glow paint is thick for maximum glows. You can thin with acrylic thinner or water as desired. Clean easily with soapy water. Charges up endlessly without loss of glows! 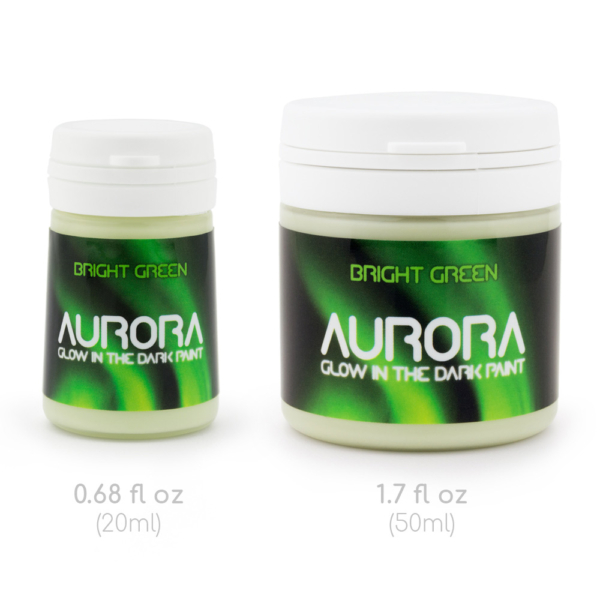 Order your own Aurora today!